I didn’t reach more than 10k words last month for Camp NaNoWriMo either. April seemed to be a much crazier month than a lot of us originally expected. 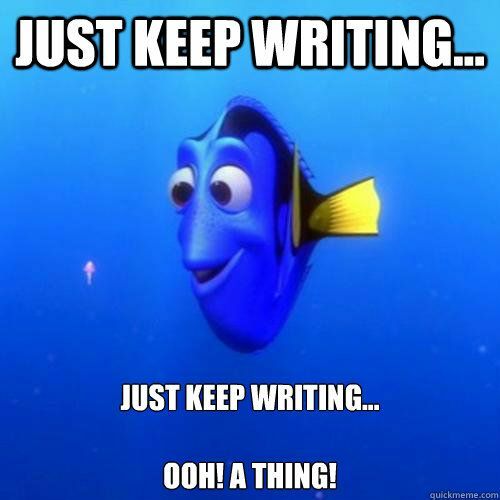 Susan Dennard has a great series on writing productivity on her blog that I need to re-read and try to see if it works for me. It might help you too. I’ve read it but yeah, I need to reread it. Her tips are very helpful! Everyone deserves a break, whether it be from writing or running! I echo what the other ladies said above me, I’m sure you’ll find your rhythm again soon and it will ROCK! 🙂 You don’t want to push something that’s not there, there’s really no point then. Thanks for the encouragement, Summer! I wrote about 300 words last night and it felt really good!